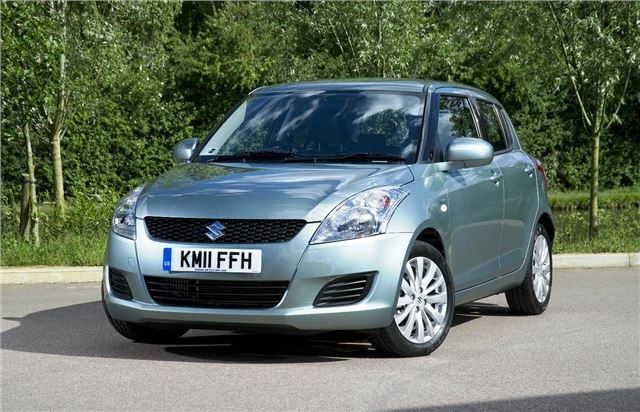 Suzuki has added a 75PS 1.3-litre DDiS diesel engine to the Swift line-up. It’s priced from £12,890 and official fuel economy is 67.3mpg, meaning CO2 emissions of 109g/km. The DDiS is a four-cylinder 16v turbocharged engine with a maximum power output of 75PS. Peak torque is 190Nm. 0-60mph takes 12.7 seconds. The low emissions mean the Swift DDiS qualifies for £20 annual VED. The new engine is 8% more efficient than the diesel engine in the outgoing Swift. The DDiS diesel will be available from June, alongside the Dual VVT 1.2-litre petrol engine which has been available since September 2010.